Since the 2016 opening of the National Museum of African American History and Culture, its Sweet Home Café has become a destination in its own right. Showcasing African American contributions to American cuisine, the café offers favorite dishes made with locally sourced ingredients, adding modern flavors and serving up contemporary twists on classics. Now both readers and home cooks can partake of the café's bounty: drawing upon traditions of family and fellowship strengthened by shared meals, Sweet Home Café Cookbook celebrates African American cooking through recipes served by the café itself and dishes inspired by foods from African American culture. The sumptuous Sweet Home Café Cookbook takes readers on a deliciously unique journey through more than 100 recipes. Presented here are the salads, sides, soups, snacks, sauces, main dishes, breads, and sweets that emerged in America as African, Caribbean, and European influences blended together. Featured recipes include Pea Tendril Salad, Fried Green Tomatoes, Hoppin' John, Sénégalaise Peanut Soup, Maryland Crab Cakes, Jamaican Grilled Jerk Chicken, Shrimp and Grits, Fried Chicken and Waffles, Pan-Roasted Rainbow Trout, Hickory-Smoked Pork Shoulder, Chow Chow, Banana Pudding, Chocolate Chess Pie, and many others. More than a collection of inviting recipes, this book illustrates the pivotal—and often overlooked—role that African Americans have played in creating and re-creating American foodways. 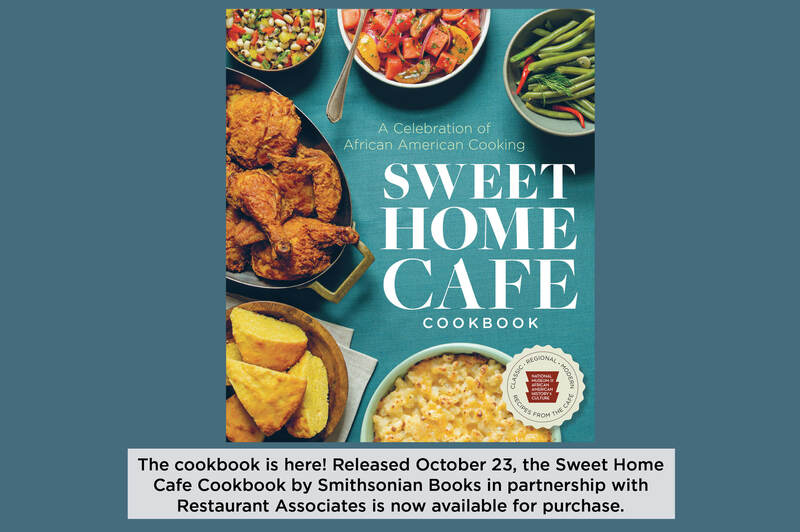 Offering a delectable new perspective on African American food and culinary culture, Sweet Home Café Cookbook is an absolute must-have. About the authors: Among the many treasures at the NATIONAL MUSEUM OF AFRICAN AMERICAN HISTORY AND CULTURE is its Sweet Home Café. Developed in thoughtful collaboration with Restaurant Associates, which focuses on creating extraordinary dining experiences in cultural institutions, the café showcases the rich culture and history of the African American people with traditional, authentic offerings as well as up-to-date dishes. JESSICA B. HARRIS, an award-winning culinary historian, author, and journalist, served as advisor to the museum as it developed the café. She is the author of twelve cookbooks, including High on the Hog: A Culinary Journey from Africa to America. Supervising Chef ALBERT LUKAS crafted the innovative and highly acclaimed café menu, which ties together food history, heritage ingredient sourcing, and modern tastes. Executive Chef JEROME GRANT oversees the café and develops inventive special meals for holiday and seasonal celebrations.